Views, views, VIEWS! Beautiful 4 bed + office, 2.5 bath home with 3,651 sq. ft. with beautiful upgrades & an amazing view. Step into this immaculately kept home with recessed lighting, ceiling fans, & details like the molded archways throughout that make this home feel custom built. 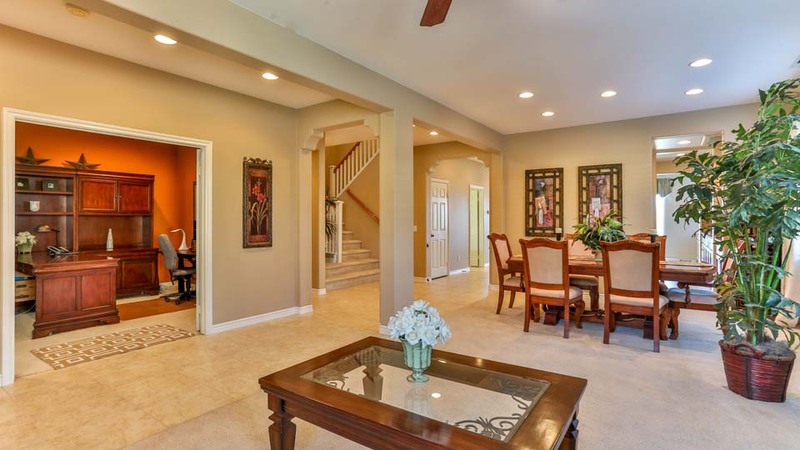 The tiled entryway opens to the formal living, dining room, & office. The formal living room has a ceiling fan & the dining room has recessed lighting & direct access to the butlers pantry through to the kitchen. The office is large with double doors to offer privacy. 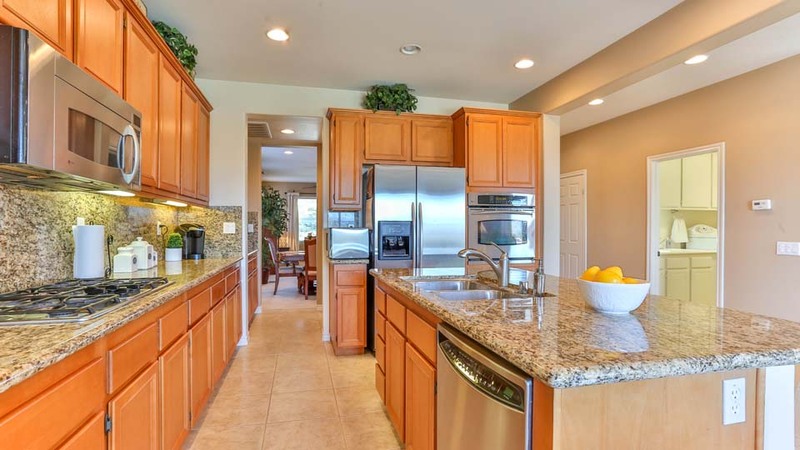 The kitchen has beautiful marble countertops & backsplash, stainless steel appliances including built in microwave & gas range as well as kitchen island with bar seating, stainless steel dishwasher & more storage. The eating area is spacious & offers more cabinet space & built in desk. The open floor plan features the family room just off the kitchen. The family room is spacious with fireplace & entertainment nook. Head upstairs to a HUGE loft/theater room. 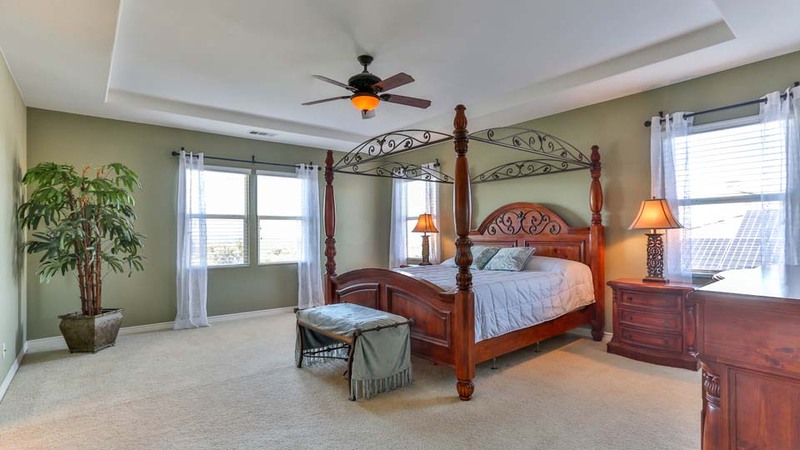 The master bedroom is large with master bathroom that features dual sinks, mirrored closet doors, walk in closet, & separate shower & soaking tub. The three remaining bedrooms are spacious & share a full bathroom with dual sinks & shower & tub combo. The downstairs laundry room features tiled flooring, cabinets & sink. The garage is a tandem garage. The backyard is beautifully landscaped & hardscaped with stunning views of the city & mountains all located in a gated community.